Small vegetable garden plans will help you make the most of the space you have. It doesn’t matter that your backyard is small: you can still grow a beautiful vegetable garden that will feed your family. Our very first garden was nothing more than a small backyard that had very little sun. We didn’t need a lot of planning for that garden: we simply marked out the area with the most sun, and put a few pots of tomatoes, herbs and salads. Light and sun are probably the first to consider with a small garden. The shadow cast by buildings often keep parts of the garden in the shade. It’s important when you are drawing up your small vegetable garden plans to spend some time recording the light levels in all parts of the garden. When you have limited space, you need to plan everything before you start implementing. Otherwise, you’ll find yourself spending a lot of time and money for features you don’t actually need or want. I suggest you start with a journal: a paper journal made of a three ring binder and lots of paper you can scribble on. That’s where you’ll start your small vegetable garden plans. You can grab this journal any time you feel inspired, go outside and start drawing your plans. To be honest, you’ll probably go through lots of ideas before you settle down to your final plans. Do you want raised beds? You can create small raised beds just about everywhere: in a border, next to the house, in your front yard, in the middle of your backyard, etc. I created a square foot garden for myself. Pretty easy with this free garden planner. 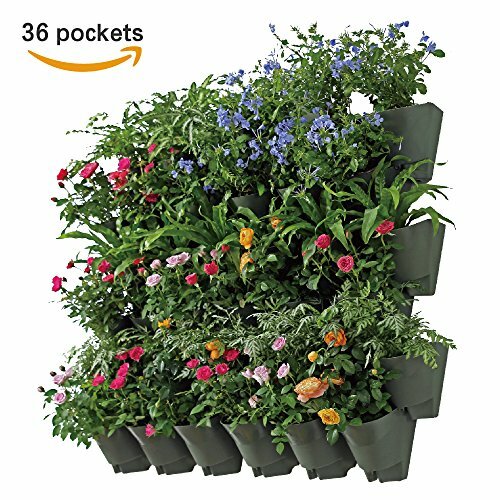 How about a container garden? Plant herbs, fruits (strawberries) and veggies (tomatoes, peppers, lettuce, spinach, etc.) in pots you can keep on your porch or patio. 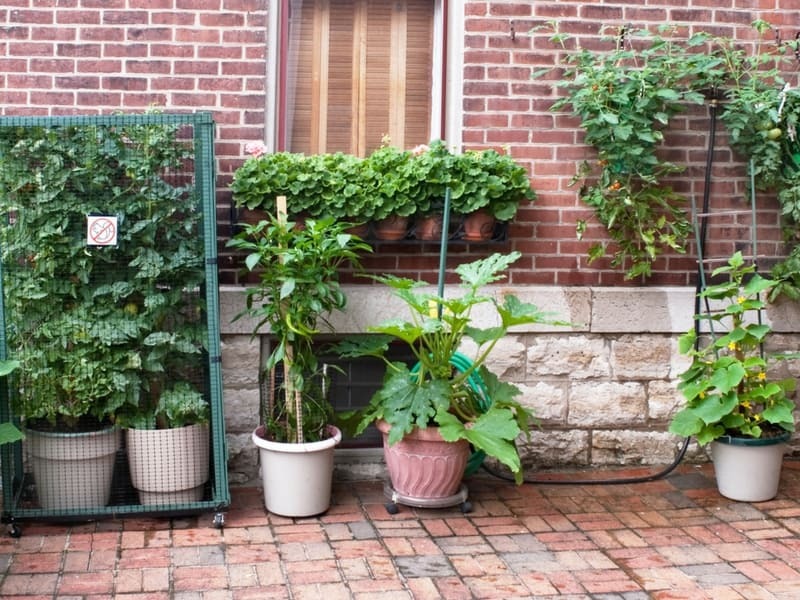 Here’s a small container vegetable garden in an urban court, with tomatoes, peppers, zucchini and cucumbers. 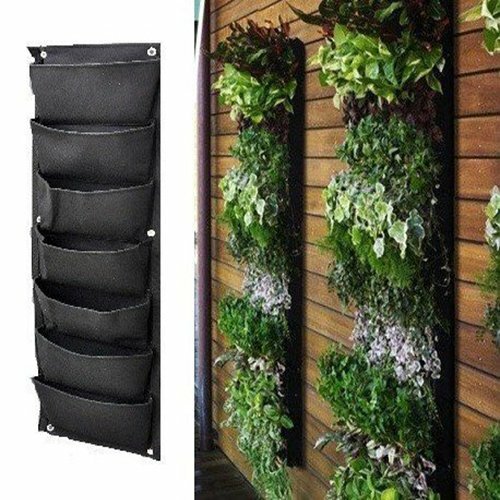 A vertical garden might be all you can do if your space is really limited. Grow upwards instead of horizontal. 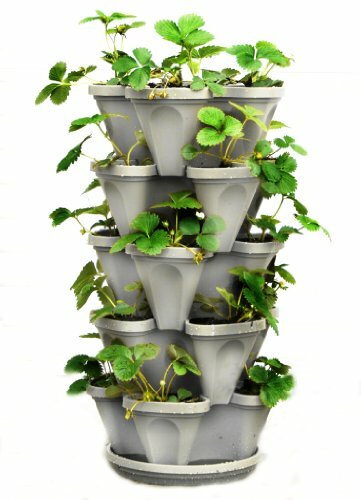 Many vegetables can be grown this way: peas, pole beans, cucumbers, squash, melons and many more. 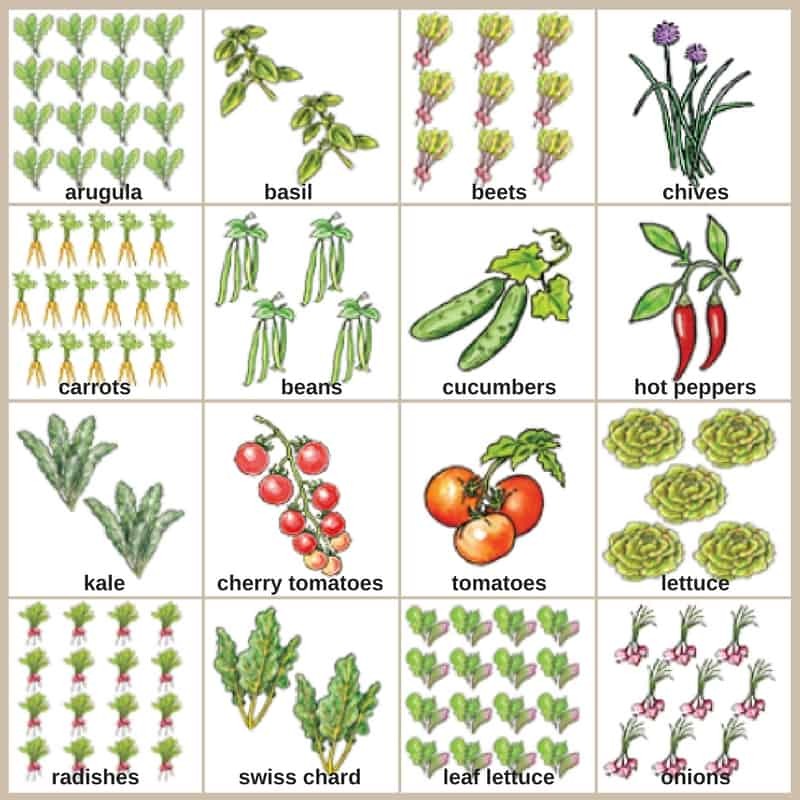 Once you have designed your vegetable garden you will be able to calculate how many of each vegetable variety you can grow. 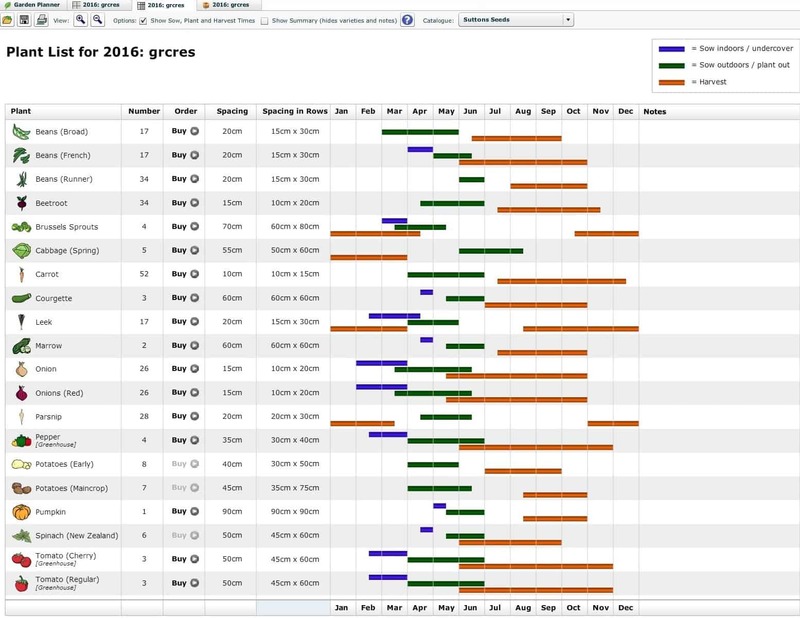 I like to keep a spreadsheet with sowing, planting and harvesting times to keep me on track. 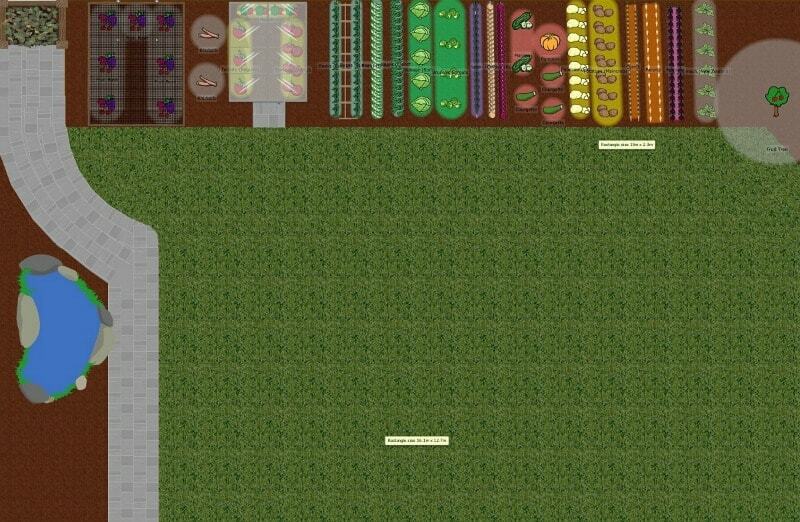 This planting list is produced by GrowVeg.com, the planning software that we have used to create all our garden plans. 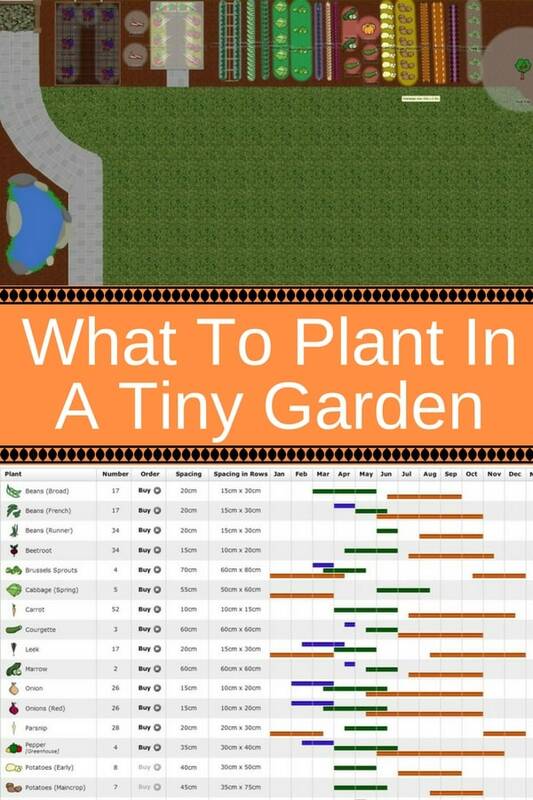 You could also draw up plans by taking some measurements, and then using graph paper to draw your garden plan out. Our yard was completely enclosed and as the left wall faced south it tended to get the midday sun from 10am until about 4pm, so we managed to get a few ripe tomatoes. Lettuce is much more forgiving in poor light, so containers with lettuces and mixed leaves work really well. Sometimes you have a nicely sized backyard, but only have limited time for gardening. That’s great too! Planning your veggie garden will help you in this case as well.